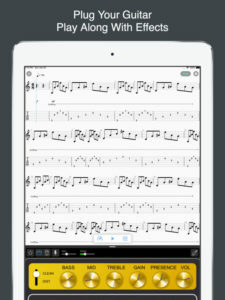 MIDI Guitar is the world’s first app to transcribe guitar playing into MIDI in real-time, with latency and accuracy comparable to expensive and inconvenient hardware MIDI guitar solutions. Play any synth or virtual instrument with your trusted old guitar, or record tablature by playing it. MIDI guitar is 8 years under development and based upon new advances in polyphonic pitch detection and prediction technology. It can accurately recognize guitar playing and articulation with very low latency and without spurious hits. The technology has been tested by thousands of beta testers. 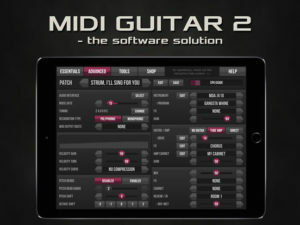 MIDI Guitar 2 is finally here on iOS! Everything is improved. Tracking in particular. ATTENTION! old customers: Please “Restore” your old purchase in the built-in shop. MIDI Guitar uses Virtual MIDI to contorl other iOS synth apps or Garageband. It can also use WIFI-MIDI to communicate with Mac or PC digital audio workstations in a frictionless setup. Cable based MIDI to control hardware synths or connect to DAWs with lowest possible latency. 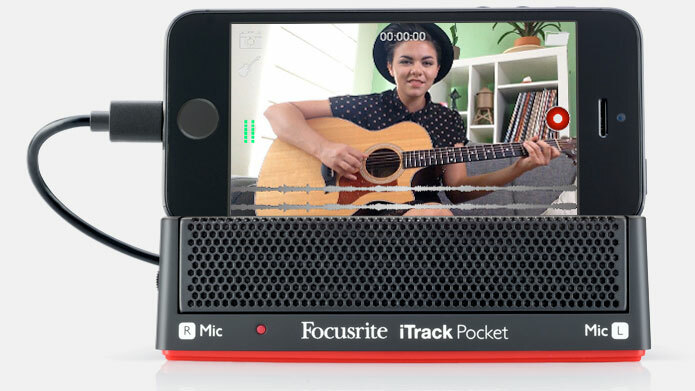 In order to use MIDI Guitar you need a iPhone 5, iPad 4, iPod 6 or later. You also need a guitar interface for best results. We recommend a digital interface (using the lightning connector) over analog (via headphone jack), preferably with input gain control. Using an acoustic guitar with the built in microphone works for some purposes but is not optimal. The free version will interrupt now and then, asking you to buy an in-app purchase. There are two in-app purchases. The first one gives you the full guitar rig and unlocks everything in the app EXCEPT the possibility to play external synths. For that you need the second in-app purchase, in addition. 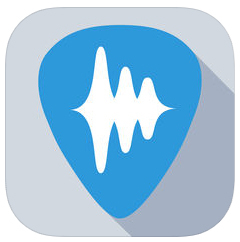 Live Guitar is designed to support playing complex chords, arpeggios, and finger-style guitar lines on your iOS device. Because the iPhone and iPad are not shaped like the neck of a guitar, the app provides an innovative way of selecting chords, while also leaving enough room to play individual strings accurately and expressively. Introducing Audiobus support, improved support for virtual and core MIDI, and the import/export of chord progressions through Twitter. Chords are organized in sets, which you can customize and change on a song-by-song basis. A single touch on the fretboard selects the first chord of a set; two touches selects the second, and so on. It’s possible to move quickly and accurately between sixteen different chords without needing to look at the screen; the chords available are taken directly from tablature that can be imported to the app. When playing guitar, switching between chords smoothly is critical; the app has been designed so that you can play music, not just notes. Single string notes and strums can be played with touches or swipes; the organic sonic texture that comes from varying note intensity is obtained by adjusting where on a string you touch. The interface orientation on the iPhone gives more space between the strings, allowing you to play individual strings more accurately. 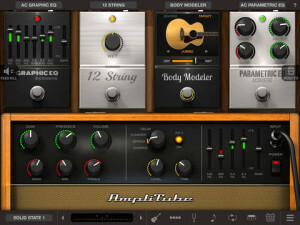 Live Guitar supports Chordpro formatted transcriptions; transcriptions to thousands of songs, with both the lyrics and chords, are available on the internet. Chordpro formatted transcriptions can be imported through the internal web browser, or with iTunes file sharing. Chord progressions can be imported from Twitter. You can also edit and create transcriptions in the app, and share transcriptions and chords easily. MIDI connects your playing to laptop or desktop recording tools like GarageBand, Logic, Reaper, or ProTools. CoreMIDI, Virtual MIDI, and DSMIDI are all supported; you can choose the interface that gives you the best performance on your system. Live Guitar can send MIDI to the GarageBand app, as well as most other synthesizer apps. At present, SampleTank is not compatible. For those learning to play, Live Guitar gives a gentle introduction to the fretboard and forming chords, and makes playing a song easy. Pros will appreciate the support for tablature and MIDI connectivity. 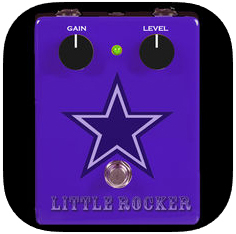 For everyone, the app is a way to get a little “guitar playing fix” when the real thing isn’t available. 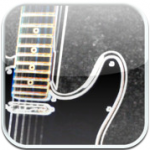 There are a number of guitar apps available. What makes Live Guitar different is the integration of song lyrics and chords, and the novel way in which chords are selected. It’s not just a portable guitar, it’s a portable guitar with access to tens of thousands of song transcriptions. The app should work on all iPhones, iPads, and the iPod Touch, but is best suited for the iPhone 3Gs and newer, the 4th generation iPod Touch, and any iPad. Audiobus works best on newer iPads and iPhones.